Is eLearning better than traditional learning? Can online training replace a live classroom? VMP eLearning investigates. Having seen a dramatic rise in popularity across every sector from accountancy to zoology in the last decade, eLearning has gained the respect of learners and trainers alike for its adaptability and effectiveness. In stark contrast to traditional classroom-based learning environments, online learning platforms offer convenience, flexibility, adaptability at – quite literally – the click of a button. In fact, many believe that the widespread adoption of technology, vast improvement of current eLearning tools, and increasingly dispersed working environments have set the scene for eLearning to replace traditional learning altogether! Could this really be the case? 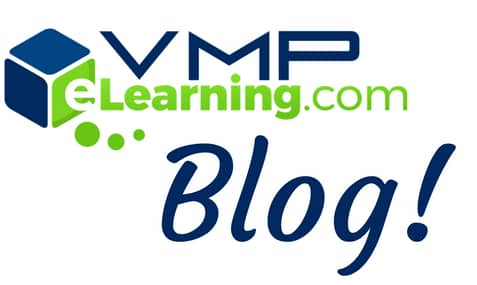 VMP eLearning takes a look! Is eLearning better than traditional learning? There’s no question that modern eLearning holds a hefty range of benefits over traditional learning – ask any of the thousands upon thousands of organizations that have picked it up and ran in recent years, from the hugely popular Khan Academy to Stanford, or your local bank to McDonald’s worldwide. Firstly, there’s the accessibility factor. Not only can well-designed eLearning courses be used wherever, whenever, and however many times they are needed, they also allow for customized catering for different learning types at a fraction of the cost of traditional learning (for more information on the different learning types, see our blog HERE). A range of learning types is an inevitable truth within any industry, and the ability for multinational/lingual courses that can be taken at any pace eliminates the risk of your learners ‘getting left behind’ or ‘missing the point’. This isn’t only positive for your learners, either – the research by Kineo has found that bite-sized eLearning modules are effective at engaging learner’s attention, reducing learning time by up to 60 per cent when compared to traditional learning! That’s a lot of time and money saved. Second, there’s the cost factor. Traditionally, truly effective training came with a price tag reserved for big hitters and multinational conglomerates – think time spent off work, venue and trainer hire fees, individual materials for every student, travel and accommodation, and the recurrent costs of having to retrain your workforce with brand new courses after company changes and updates. Reusable, easily updated, and taken from the comfort of an armchair, eLearning has managed to eliminate both a variety of the costs associated with traditional learning and the need for your learners to even get out of their pajamas. Not only this but because they can be accessed anytime and anywhere, online training modules allow for flexible learning schedules with minimal interruption to regular work. According to a Brandon Hill study, delivering interactive learning requires 40 – 60% less employee time than if the same content was delivered in a classroom setting, massively reducing workplace absence. Even more impressive, a similar study by IBM found that every $1 spent on e-Learning results in $30 in productivity gains! Despite the wide-ranging benefits of eLearning, however, traditional learning isn’t without its pros. Depending on your training needs, online learning may lack the same access to equipment and facilities as a traditional classroom setting. Similarly, the lack of face-to-face interaction offered by some eLearning courses means your learners will have to employ a higher degree of self-regulation and direction than their traditionally-trained counterparts – a potential hurdle for some learning types. Fear not, however – whether or not these issues will ultimately impact your training’s effectiveness or your bottom line can often be determined with a simple training needs analysis that we offer here at VMP eLearning. Can eLearning replace a live classroom? As many companies shift towards online learning for their workforces, studies continue to reinforce why with evidence that remote learners can even outperform traditional classroom students. With these factors in mind, is it really feasible that eLearning replaces traditional learning completely? Learner-centric, cost-effective, and highly accessible, eLearning is rapidly replacing traditional learning in the corporate world – and for good reason. However, in a world of innovators, there will always be people partial to the paperback. Some training courses will require access to specialist equipment or resources, while some learners will simply require face-to-face in order to finish the materials. As eLearning continues its rise within the corporate sector, however, we have and will continue to see it at least supplement many forms of traditional learning. Countless professors, Managing Directors, and team leaders are using online courses and eLearning resources to supplement their traditional training materials, a crucial step in training a generation raised alongside YouTube. What do you think about eLearning versus a traditional classroom? To discuss your company’s needs and the opportunity to get the best out of your workforce using educational science and tailored solutions, contact us today for an obligation-free appointment.